On this day in 1966, the Soviet Luna 9 spacecraft made the first successful soft landing on the Moon and, 7 hours later, transmitted its first images of the lunar surface back to Earth. The image above is the Luna 9 lander’s first view. It was the very first time we had ever seen images taken from the surface of another world. 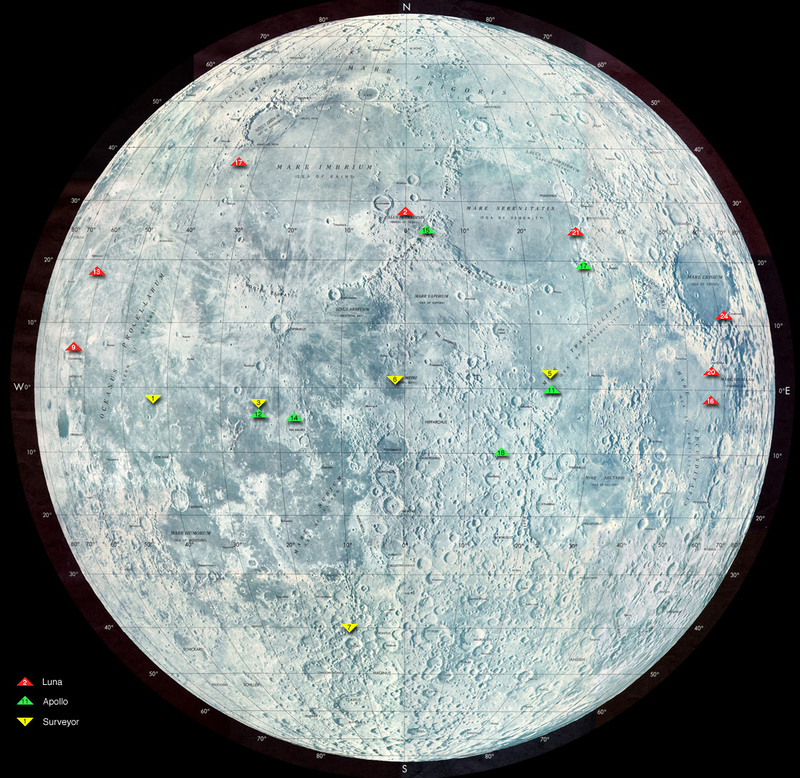 Launched from Baikonur Cosmodrome on Jan. 31, 1966, the 58-centimeter spheroid ALS capsule landed on the Moon at 18:45:30 UT on February 3, 1966 west of the Reiner and Marius craters in the Ocean of Storms (see the map below of lunar landing sites.) 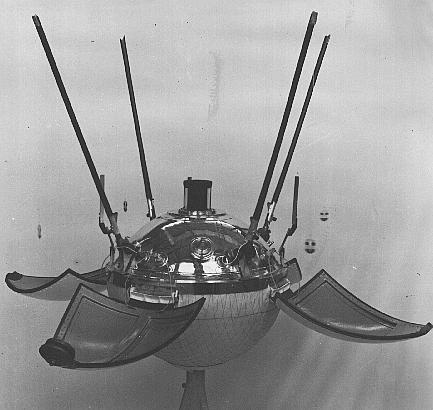 Luna 9 beat America’s Surveyor to the Moon by about four months. Its landing was harder than that of Surveyor, but good enough for its camera and radiation detector to survive and do their jobs. Images were transmitted when solar illumination allowed, 7 hours later (technically Feb. 4 UT). The Soviet Union did not initially share their images with the rest of the world, but England scooped the Soviets by intercepting the radio signals carrying the first photo data and releasing a picture before the USSR produced its official version. Luna 9 was the 12th attempt at a soft-landing by the Soviets. Perhaps the most important discovery of the Luna 9 mission was determining that a foreign object would not simply sink into the lunar dust and that the surface of the Moon could support a heavy lander. Last contact with the spacecraft was at 22:55 UT on February 6, 1966. The Soviet Lunar program had 20 successful missions to the Moon and achieved a number of notable lunar “firsts”: first probe to impact the Moon, first flyby and image of the lunar farside, first soft landing, first lunar orbiter, and the first circumlunar probe to return to Earth. The two successful series of Soviet probes were the Luna (24 lunar missions) and the Zond (5 lunar missions). Read more about the Soviet lunar missions here.